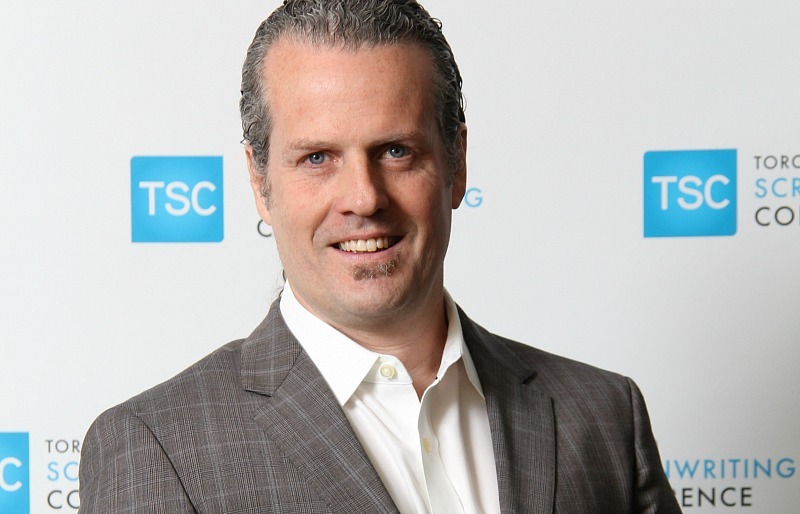 TSC’s Glenn Cockburn talks the Toronto Screenwriting Awards | TV, eh? Have you got a script you deem award-worthy? The Toronto Screenwriting Conference wants to read it. The two-day event, scheduled to take place June 23-24, 2018, at the TIFF Bell Lightbox in downtown Toronto, is set to make an international splash with its first-ever Toronto Screenwriting Awards. Celebrating the best in 12 categories—film (drama, comedy, genre, animation) and television (serialized drama, procedural drama, genre drama, family drama, single-camera comedy, multi-camera comedy, youth & family comedy, animation comedy)—submissions can come from any country in the world as long as it was originally written in English and the script was screened or aired between January and December of 2017. The TSC is a conference offering screenwriters and other industry professionals an opportunity to develop their skills at a high level as well as network with some of the best in the TV and film business. The conference has attracted a who’s who of screenwriting talent to speak, including Moira Walley-Beckett (Anne), Emily Andras (Wynonna Earp), Glen Mazzara (The Walking Dead), Bruce Smith (19-2), David S. Goyer (Da Vinci’s Demons), Beau Willimon (House of Cards) and Tassie Cameron (Mary Kills People). With the submission deadline for scripts of Monday, April 30, at midnight ET, we got TSC founder and advisory committee chair Glenn Cockburn on the phone to talk about them. Why did you decide to have a Toronto Screenwriting Awards? Glenn Cockburn: I resented the idea for any awards for a long time. The last thing anyone really needs is another awards show. But I did recognize the value of it and we are trying to build the best screenwriting event in the world and that’s not just about having the best speakers in the world and the best content. It’s about being a weekend that celebrates screenwriting. I knew an awards component was going to be more and more important to that but the trick was what were we going to do? When I first had the idea for the Toronto Screenwriting Conference I was shocked there wasn’t a conference for professional screenwriters anywhere in the world at the time. As I started thinking more seriously and considered awards I wondered what that would look like. I was shocked to find out there was nowhere in the world where screenwriters were being awarded for the various categories of screenwriting. That was the big turning point for me. The realization we could do an awards show where we could take best comedy and actually award people within various aspects of that. We looked at best drama, best comedy and best screenplay, the traditional categories people win awards in. We said, ‘What if we treated those as realms and reward people within those realms?’ So, best TV drama becomes best procedural drama, best serialized drama, best genre drama and then best family drama. The ability to write those four sub-genres of drama are completely different than the others. Obviously, the difference between single-cam and multi-cam comedy is very different when it comes to structure and the types of jokes that are written. To lump everyone into one category seemed unfair and if we were going to celebrate screenwriters we should do it in the various ways they are pursuing their careers. I agree with what you’ve said and I’m overjoyed to see categories like family drama, youth and family comedy and animated comedy. The scripts being written in those categories alone are amazing. Absolutely. One hour drama tends to get too much attention and the people who write Heartland are amazing at it and they need to get more attention for writing something that isn’t a one hour drama that isn’t for adults only. That’s an important thing to recognize. Having awards like this puts the Toronto Screenwriting Conference on a world stage. Are you OK with that? That’s the intention. The conference itself is designed for and programmed for professional screenwriters and we want to make sure that the best screenwriters in the world, once a year, know and remember they need to go to Toronto to have a conversation about what’s going on in their profession. And, to be clear, the Toronto Screenwriting Awards are open to the English language. Our hope, over time, is that we’ll have nominees from England up against nominees from Australia, Canada and the United States. I would love it if something from Canada won best procedural or something from Scandinavia won best serialized drama. I would love that. You could have, for the first year of the awards, gone with just Canada and the U.S. for entries. You went more aggressively and opened it to the world right away. That’s exciting. I want the international screenwriting community to look to Toronto as the centre of screenwriting and look forward to the conversations. I want other countries to know that we recognize every country is doing something different in the world of screenwriting and that we want to talk about it. Submit your script to this year’s Toronto Screenwriting Awards. The deadline for submissions is Monday, April 30, at midnight ET. And register now for this year’s conference. $90 per entry? A bit excessive. Especially since the conference is already $400. What writer can afford that?